This 27-mile trek through along the Eagle Creek Trail is easily one of the most premier trails in the entire Columbia River Gorge. Spectacular views of waterfalls, streams, canyons, and cliffs. Up to 27 miles one way. Northwest Forest Pass required, or $5 day pass. 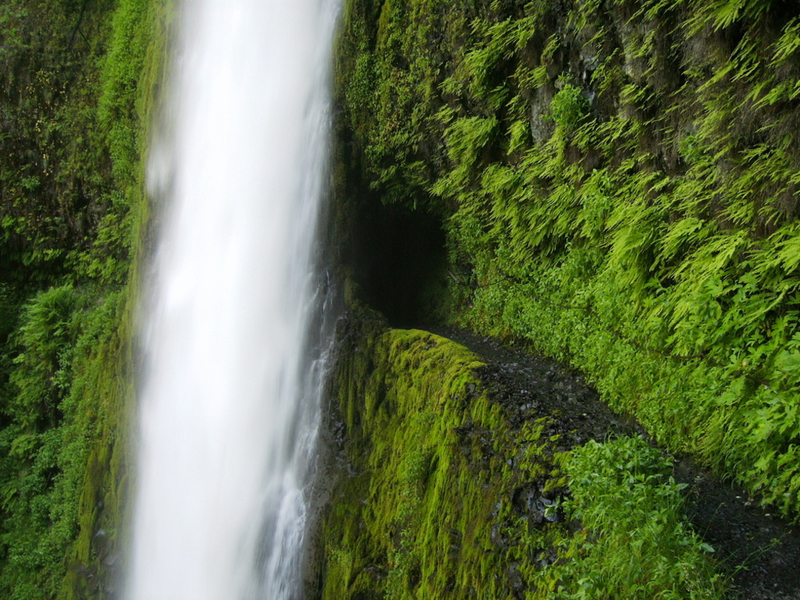 The Eagle Creek Trail, which opened in conjunction with the Historic Columbia River Highway, is one of the premier hikes in the Columbia River Gorge. The trail leads through one of the most sensational canyons in the state. Along the way, you'll pass numerous waterfalls and cross multiple bridges as you travel a path that was blasted out of basalt cliffs. There are also some spectacular views of chasms below. The trail is well kept, often wide, and gently graded, making it a great option for novices. There are, however, a couple of sections where the trail is narrow and exposed. This classic 26.8 mile, 2-3 day backpacking trip ascends to Wahtum Lake. There are only 4 designated camping areas in the first 7 miles of hiking, so come early if you're heading out on a summer weekend. For food and drink, the Big River Grill in Stevenson, Washington is an excellent option. Just across the Bridge of the Gods, Stevenson's Big River Grill is home to some of the best food in the Gorge. Don't miss the Goat Cheese & Sundried Tomato Torta. Punchbowl Falls is surrounded by lush green forest and trees and its name suits it well, as it looks like it is pouring straight into a bowl. Tunnel Falls is about 175 feet tall and an absolutely beautiful view. These falls are unique because there is a tunnel that goes behind the falls about half way up. Wahtum Lake is a gorgeous blue surrounded by trees and is the headwaters for Eagle Creek. Eagle Creek contains some of the most beautiful waterfalls in the area. There are several measured stopping points, which allows you to choose how long you would like to hike or backpack. Punch Bowl Falls comes at about the 2-mile mark, High Bridge is about 3.3 miles down the trail, and at 6 miles you reach most hiker’s stopping point, Tunnel Falls. There are so many waterfalls on this hike, you will begin to lose count! For backpackers, continue on to Wahtum Lake, where there is room to camp. You can come back the way you came or make it a loop by taking the PCT to the Eagle Benson Trail #434, which takes you back to the Eagle Creek Trail and trailhead. There are several options for places to turn around of varying lengths to fit any skill level. Hiking to the absolutely beautiful Punchbowl Falls is only 4 miles of fairly level there-and-back trail for beginners or those on a time budget. The hike all the way to Tunnel Falls is a 12-mile hike of a level grade, which is a casual hike for experienced hikers and a distance push for intermediate hikers. The full 27-mile backpacking trip is level until the hike up to Wahtum Lake, which should be taken into consideration for those new to backpacking. To get to Eagle Creek from Portland, take I-84 east and take exit 41. Turn right at the end of the ramp and go to the end of the road and you will reach the large parking lot. The trailhead is at the very end of the road. As mentioned above, this is an incredibly popular and crowded trailhead, so if you are planning to visit on a weekend be sure to leave early to get there before the crowd. Vehicles are required to display a Northwest Forest Pass, but there is a drop box for a $5 one-day pass.